Between the April 2016 and January 2017, YEU Cyprus will be meeting 4 participants from 4 different countries (Portugal, Hungary, Italy and Spain). Bring your positive energy and motivation, because lots of work and commitment is expected from everyone, but at the same time have no fear; we promise lot of fun too! We might already know some of you, but in any case, we are so excited to be meeting all of you. And we can, definitely, promise that this project is going to be another memorable activity, all in true YEU style. Are you ready to take this challenge? 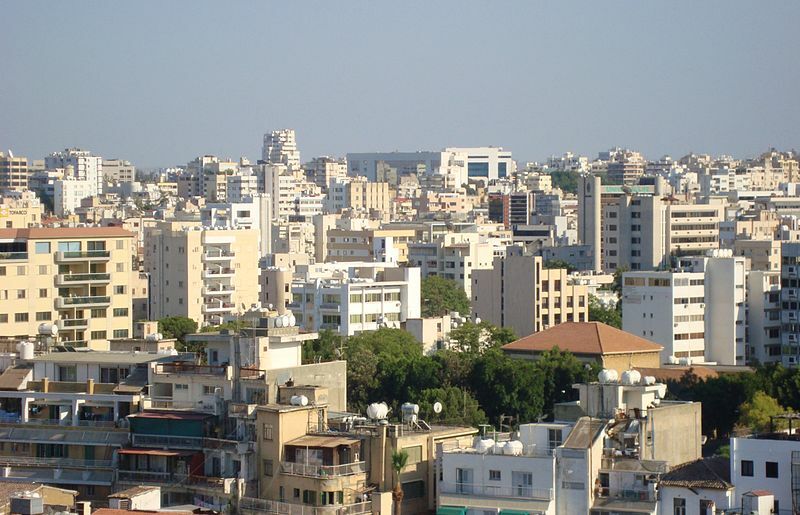 This EVS project will take place in Nicosia, the capital of Cyprus. Be ready to open your mind and soul for what is to follow in order to spread your expertise back to your countries. We have no doubt that you will all be the best ambassadors of the particular knowledge and experience. So… get prepared for this unique experience and see you soon! YEU Cyprus was established in 1995 as a Cypriot local civil organization (NGO), aiming to foster closer co-operation and better understanding among the young people of the world by exchanging information, experiences and ideas, on cultural, educational and social issues. YEU Cyprus is affiliated with YEU International platform. It is a full member of Cyprus Youth Council (CYC) – the official coordinating body of Cypriot Youth Organizations. It implements several activities including workshops, field trips and training courses and it organizes and participates in various international and local events to foster tolerance and mutual respect among youngsters. YEU Cyprus organizes and participates as a partner in various international and local activities. On international level, YEU Cyprus organizes and delivers training courses or exchanges on different topics, focusing always on the youth’s development, awareness raising and capacity building. The methodology of the activities is based on non-formal education and experiential learning. YEU Cyprus also gives its members the opportunity to participate in international activities abroad such as in partner’s training courses, youth exchanges, European Voluntary Service (EVS), seminars, SALTO events and the YEU International Youth Convention. On local level, in attempt to bring youngsters together and make them aware of different topics, YEU Cyprus organizes Theatre of the Oppressed, Human Libraries, workshops and seminars on different topics (for example human trafficking, non-formal education, volunteering), street festivals, laughter festival, field trips and other activities. Our project’s mission is to organise different leisure time as well as educational activities for young people, in order to help them find different creative ways to spend their free time. At the same time our aim is to help them learn some new things, such as speaking a new language, getting to know a new culture and also come nearer to their own traditions. With the help of our voulunteers we are going to organise activities that will help the Cypriot community to explore their identity and find ways to become more active. One of our goals will be to help them be more active citizens, by organising different events for the society and promoting volunteerism. A lot of young people in Cyprus are at the moment unemployed and quite frustrated because they do not feel that they are productive in any way. There are also a lot of young people that may be asylum seekers, political refugees or even human trafficking victims. These young people do not have the same opportunities as others, especially because they are not really implemented in the society. A lot of them do not have friends or hobbies and in many cases, not even some creative ways to spend their days or learn something. Our goal is to promote the inclusion of these young people to the society and help them find ways to use their energy in a creative way. We will also organise events that will show them the opportunities they have abroad and how they can travel and at the same time learn new things. Through different actions, including non-formal education and a variety of other tools, such as Human Library or Theatre of the Oppressed, cultural festivals and many more, we will try to make people understand that they have different ways to be productive and creative. The volunteers will get lots of versatile experience from youth work and will gain lots of knowledge about leading different kinds of youth groups. We will give them the opportunity to plan activities and be part of developing old ones. They will also learn about youth information and about different kinds of office work like reporting and planning. Volunteers will have the chance to participate in the diffusion of youth mobility programmes, supporting the implementation of workshops, supporting the search for partner projects and the organisation of local and international seminars. The accommodation will be at a house close to the city center. The four of the participants will share a house in Samou street which is also very close to our offices. Each of you will have their own bedroom and will share the common areas such as the kitchen facilities and living room. Each of the participants will receive 130 Euros for food allowance and 110 Euros pocket money each month. Your accommodation will be provided by YEU Cyprus. You are requested to be very careful on your electricity and water bills. A maximum allowance of 75 Euros will be provided for Electricity bills per month. In case you exceed that amount, you will be requested to provide the extra costs by yourself. ¡Piensa, sueña, cree y atrévete!